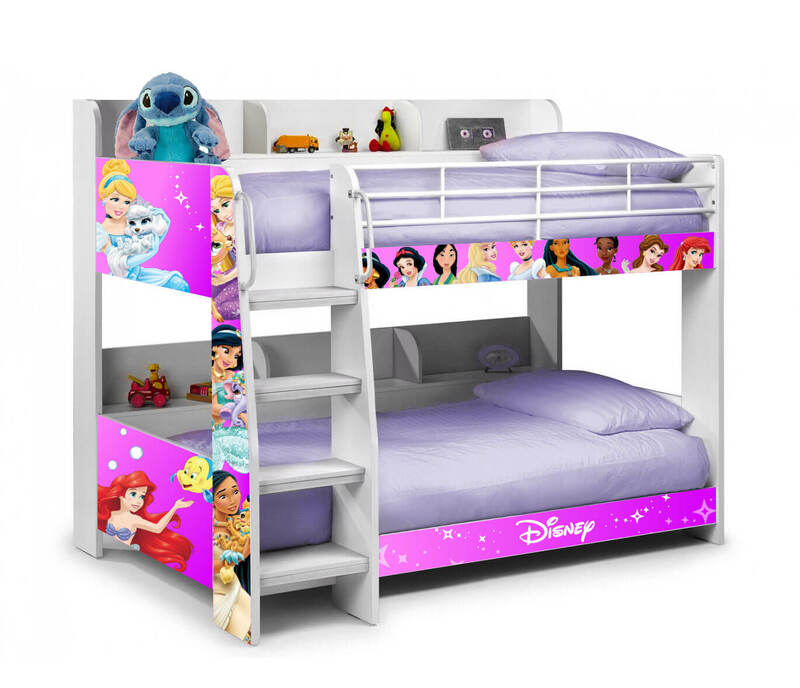 The Domino Bunk Bed with Disney Princess vinyls. Unique to this product is the added shelving along the back of each bunk to give that much needed additional storage space. Another nice feature of the Domino is the Luminous ladder steps that glow in the dark!